Pre-register for the class today! Have you ever wanted to learn traditional hand papermaking methods? Well, on Saturday March 1st, we’ll learn all about Japanese papermaking with KOZO fiber (the paper mulberry) harvested right here in Philadelphia. Beginning with the raw fiber, we’ll learn all of the steps in traditional Japanese hand papermaking: how to harvest the fiber and prepare it, hand-beating, vat preparation, and sheet forming. Kozo is known for its strength, luster, and translucency. This is a one-day workshop spent in the wet paper studio. 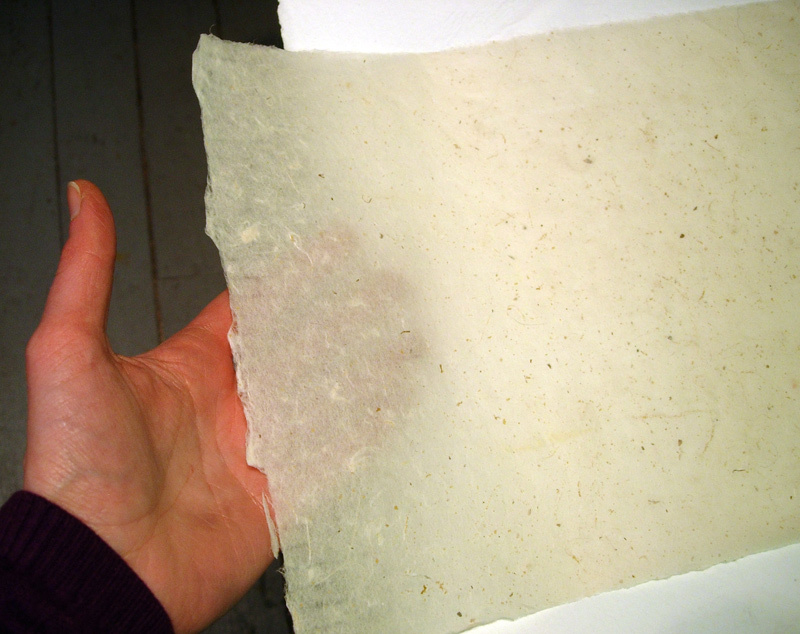 Students will make up to 10 sheets of beautiful handmade paper and, once dry, they can be used for bookmaking, printmaking, drawing, or they can be finished works of art on their own! Want to know more about KOZO? Read about it in this blog post.